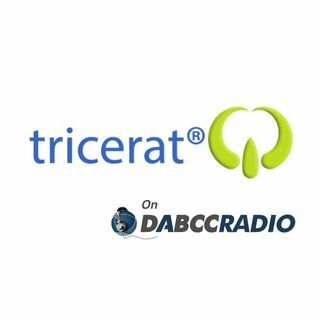 In episode 273, Douglas Brown interviews Andrew Parlette, Chief Technology Officer at Tricerat, Inc.. Douglas and Andrew discusses the Tricerat suite of printing solutions, ScrewDrivers, Simplified Printing and Simplified Printing TX. Andrew brings us up to speed on what’s new with Tricerat and he explains how it works, the problems they solve, why we should care and much more. Tricerat exists to make IT simple. By listening and paying attention to system administrator ... See More needs, we’ve developed products that not only prevent known system limitations but also maintain and improve the end user experience. By developing simple and effective software, Tricerat has been able to solve IT network problems for over 10,000 customers worldwide and has created many invaluable partnerships with value-added resellers, consultants, and systems integrators. Tricerat has formed critical industry alliances as a Citrix Ready Partner, Gold Certified Microsoft Partner, and VMware Technology Alliance Partner to ensure not only the benefits of today’s technology, but the compatibility for longstanding service in the future. After 15 years in business, Tricerat has experienced rapid growth yet maintained the privately owned and operated atmosphere of a company that is determined to stay on top with true staying power. Andrew Parlette is Chief Technology Officer at Tricerat, Inc. Andrew joined the company in 1999 as a software developer and, more recently as VP of Product Engineering, oversaw technical operations, including direct management of the software development teams and customer service. Under Andrew's direction, Tricerat focuses on providing an outstanding customer experience. Additionally, he concentrates on developing quick-to-market, superior products that fulfill the needs of customers. Apart from his passion for technology, Andrew loves spending time with his family and enjoys the outdoors. Andrew received his bachelor’s degree in Computer Science from the University of Maryland.